Are you thinking of splurging on any Canon camera accessories? 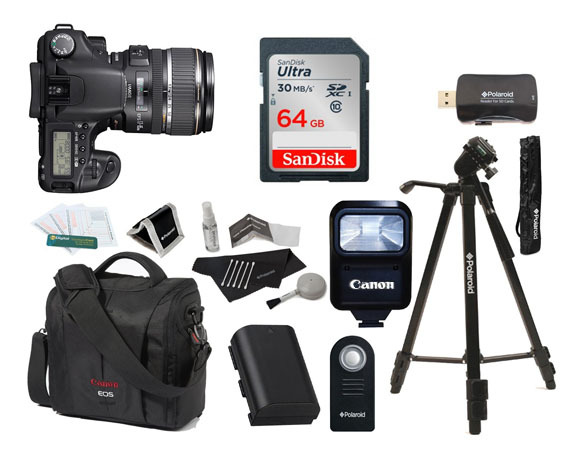 This article will help you narrow down to the right gadgets to add to your Canon equipment. 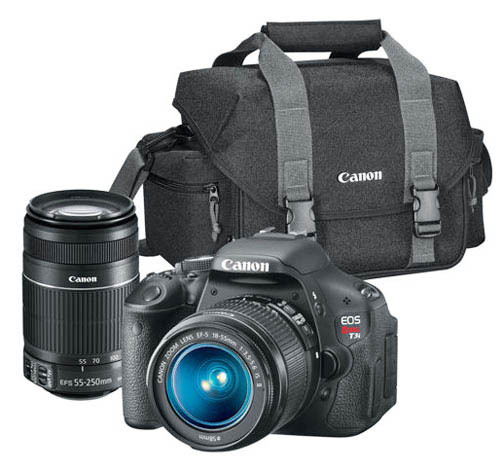 You'll also find links to specific reviews of Canon DSLR camera accessories, Canon Rebel accessories, and accessories for Canon lenses. Some people believe that you must stick with accessories made by Canon if you have a Canon camera. Others will tell you that Canon accessories are over-priced. They contend that you can save money by buying non-Canon accessories. So who is right? They both are. If you are like me, you want the accessories that work the way they are supposed to and you don't want to waste money on them. Here's the deal. It depends on the specific piece of equipment. As you read articles and product reviews here, you'll see I try to give you both sides of that coin to observe. Consider the range of camera gadgets and gizmos that are available and it can be overwhelming on which are best to get first. You can use the search box (top right) to look for specific equipment or look at the growing list below. You can also ask me directly: Ask the Geek. 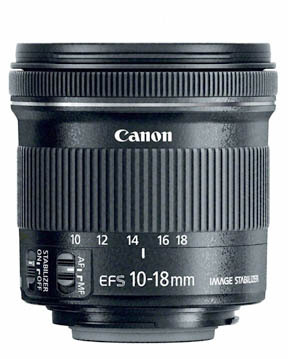 Here are some of the articles about specific accessories for your Canon cameras. So, you've got your basic camera with your basic 18-55mm kit lens and you want to explore more gear for your new Canon. We'll dive in with the 5 essential Canon camera accessories in a second, but first I've got to tell you share something very important with you. If you do a Google search for "must have Canon camera accessories" you'll find some articles that rank high on the search results lists, but give horrible advice. METZ FLASH GUN. Really? 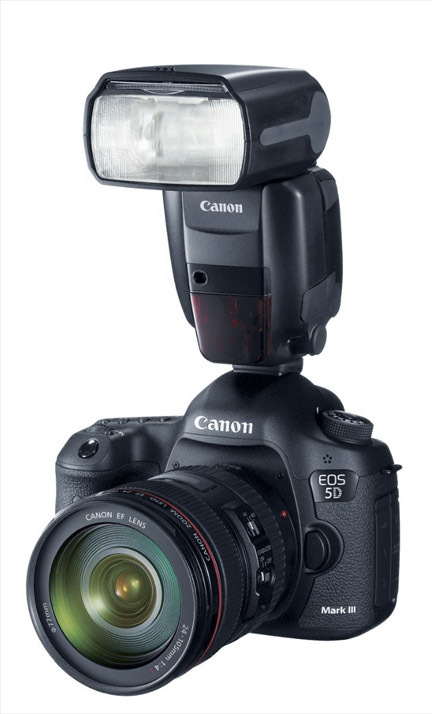 Do you need a big $300 hot shoe mounted flash to explore advanced lighting techniques? I don't think so. 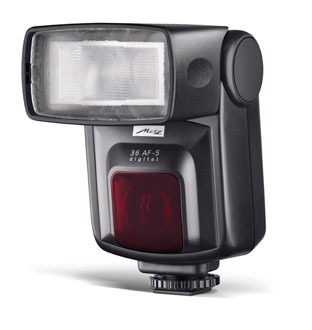 As your photography progresses you should consider an external flash, but not a pricey brand name like Metz. You can either go with a Canon Speedlite down the road, or get a cheaper 3rd party brand to save money. 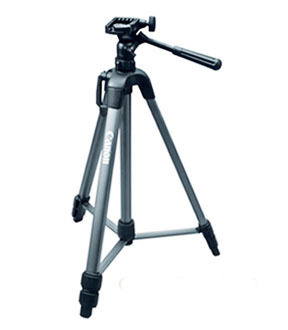 MANFROTTO PRO TRIPOD. Not! 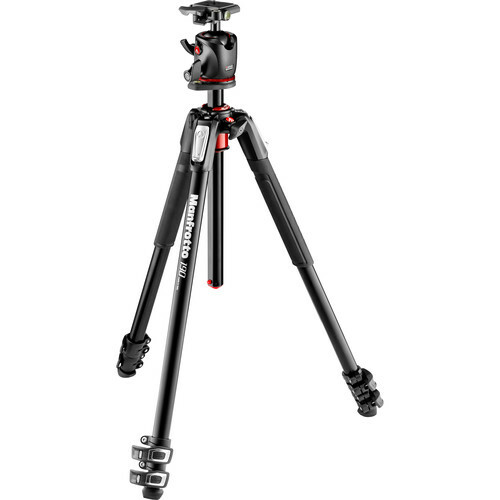 You don't need to start out with a $300 pro tripod. I use tripods quite a bit, but they are not Must-Have accessories. I've never spent $300 on a tripod either. Over the years I've likely uses a dozen, and when you're ready for a tripod, go with a mid-quality. A cheapo one simply won't last and a pricey pro model is overkill. The slight advantages of getting a genuine model made for pros over a medium quality one don't justy spending all that extra money. FISH EYE LENS. While I agree they can be fun to play around with, I don't classify a cheap $12 fish eye lens as a necessary accessory for your Canon DSLR. 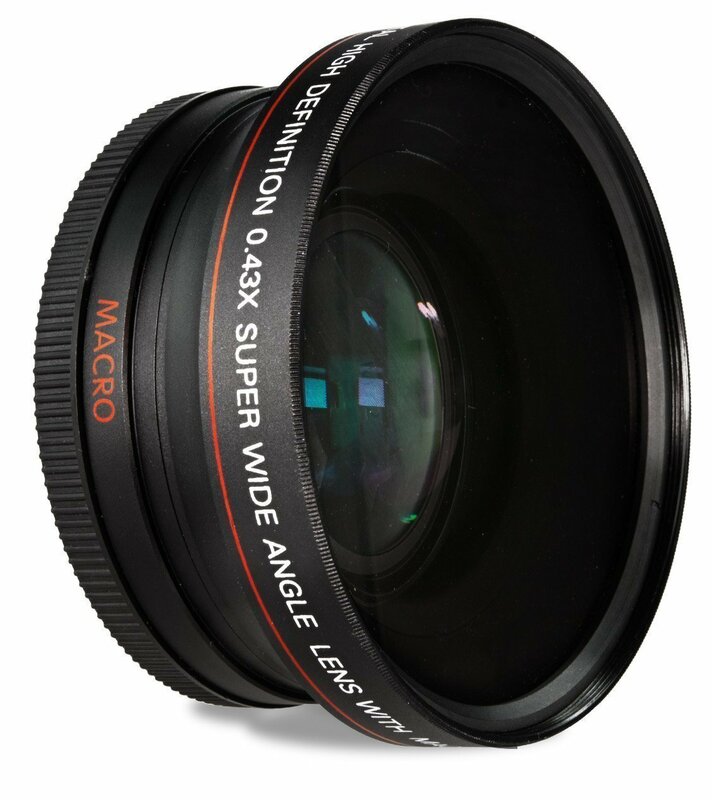 These screw-on type of lenses are not really fish eye lenses and give you crappy image quality. This was actually listed as a must have accessory in an article. Unbelievable. 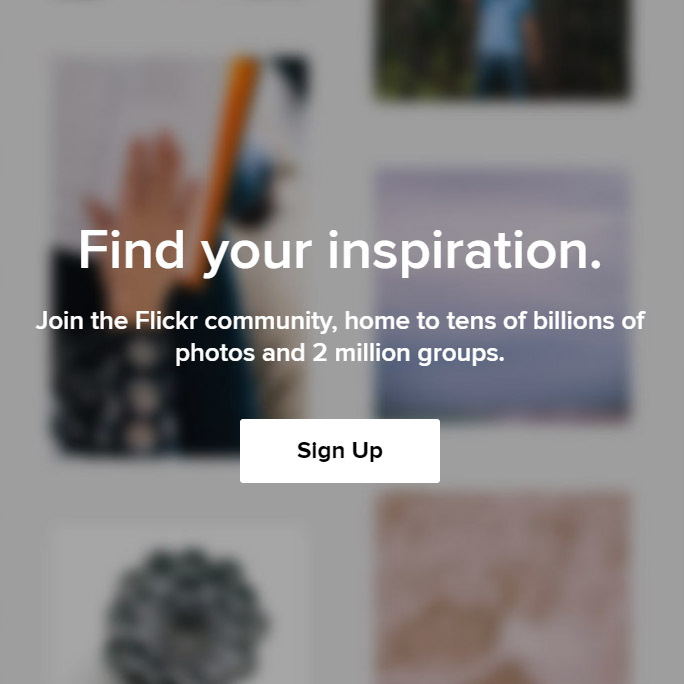 A FLICKR ACCOUNT. While it's true that I use my Flickr account to share some of my images, it's hardly a must have camera accessory. You can get a FREE account like I have, or go for the PRO or PRO+ plan if you're really serious. I encourage you to use it as a place to upload only your best images while you establish yourself as a talented photographer. CAMERA HOLSTER BAG. 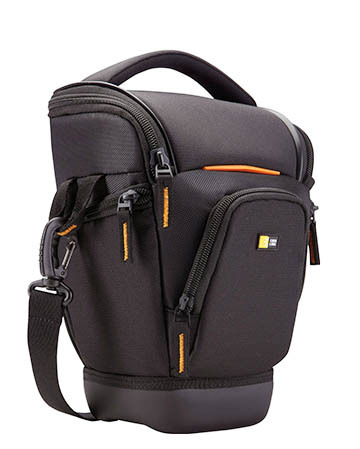 These camera bags are comfortable to wear and make it super easy for you to access your camera in a flash. They're not a must have camera accessory. A camera bag is a needed accessory, but it doesn't have to be a holster bag. Let's keep it simple. The must have accessories are really 1) a decent UV filter to protect the front surface of your lens, 2) a spare battery, 3) a 2nd memory card so you won't miss any precious photos, 4) a comfortable camera strap, and 5) a decent camera bag to protect and carry your camera and accessories. One of the most underutilized accessories that we can be guilty of ignoring is a book about your camera. Sometimes the included manual comes up short in helping you get the most out of your technologically advanced digital camera. 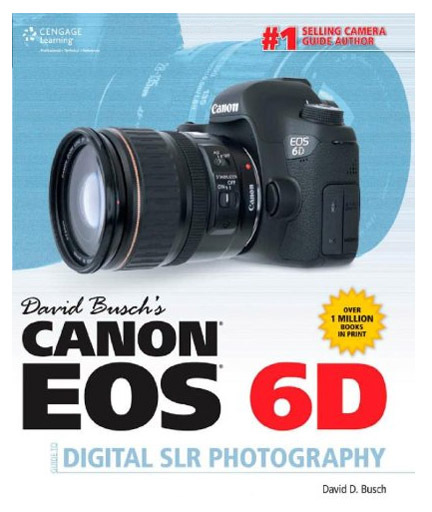 There are many valuable Canon Camera Books that can help you maximize your ability to get great photos from your camera. 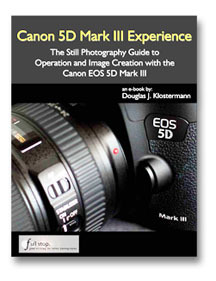 You can also learn about a camera before you buy buy reading on the Free Canon Camera Manuals. One of the easiest forgotten accessories for the digital SLR is the lens filter. 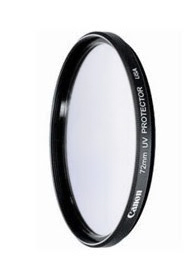 it is the single best way to protect your lens from dirt and scratches, fingerprints and moisture. Second to the obvious accessories of an extra battery and a memory card is the need for on of the Canon tripods. 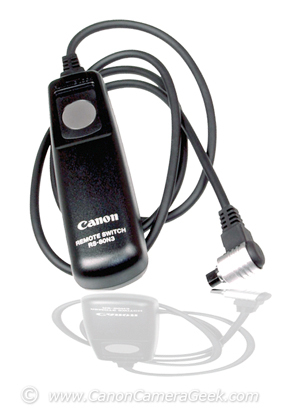 A Canon cable release is a must accessory to use when you are using a tripod. A common mistake is to forget that even the gentle push of the shutter button with your finger will cause some camera shake even when a tripod is being used. Should you use genuine Canon camera accessories or non-Canon-made accessories? Well, maybe there is a bit of truth on both sides of the discussion. One of the first questions that may come to mind when thinking about an interesting accessory is if it will work on your Canon Camera. There are instances when you will only want to use a Canon accessory and other times when it simply rally doesn't matter. We'll start and examine the first situation. Here's personal story on when an alternative failed me. I was shooting our town's youth soccer league and I needed a second cable release for a second camera to shoot group shots. 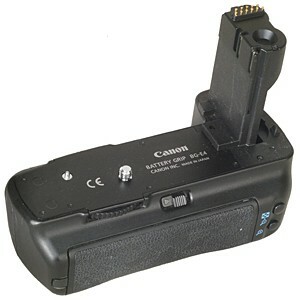 I had one Canon rs 80ns, the Canon recommended accessory for my Canon 5d Mark III. I decided to save a few dollars and get an off-brand substitute to use on picture day for my second camera. Well, it worked okay, but it frequently sticks it the "on" position. I saved a few dollars, but it was difficult to shoot rapidly. My assistant photographer wasted a lot of time between each photo to get the lock to release. Canon camera accessories include flash, batteries, camera bags, filters, memory cards, tripods, monopods and macro photography equipment. There are some very affordable Canon Elph Accessories kits that a nice array of items to complete your photography equipment needs too. The Elph accessories are just one group out of four of all the Canon Powershot Accessories and camera gadgets that are available to enhance your digital photography. 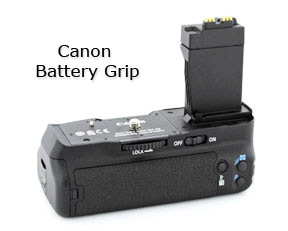 For the digital SLR accessory lover, I've written some thoughts about the many Canon battery grips that are available to Canon photographers. Here are the links below. 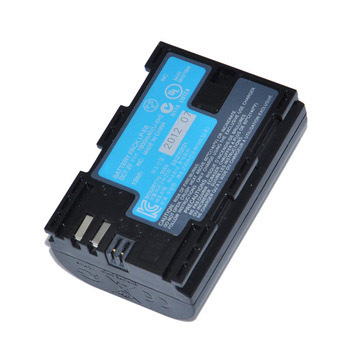 One of the alternatives to buying a Canon grip is to buy one of the Vello battery grips. Underwater photography is another kind of photography that requires specific accessories. You have several interesting options available to you when considering a Canon Waterproof Camera. 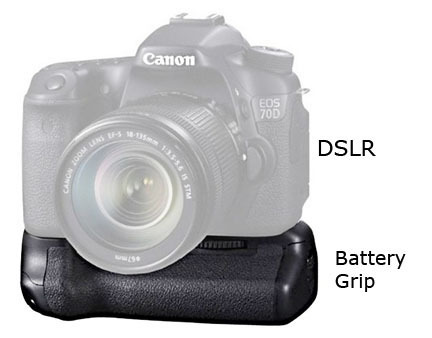 Here are some thoughts for Canon G12 Accessories and Canon 7D Accessories.Do you own one of Rebel cameras? There are some really unique Canon Rebel Accessories. Happy Shooting! p.s. One of my favorite Canon camera accessories is the Canon Speedlite 270EX II. I use it on my Canon G1X Mark II, my 5d Mark III and my EOS 70D. 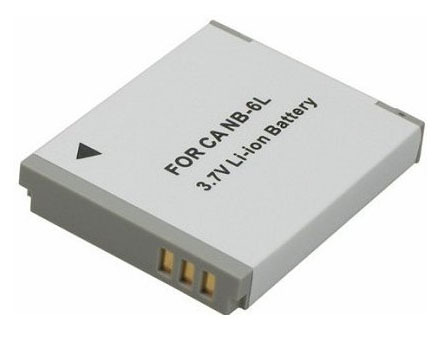 It's small, easy to carry, and a whole lot better than the wimpy built-in flash that digital cameras often come with. Do you have a question about Canon equipment or do you have a comment to make about one of the gadgets you use for your Canon camera? would you like to contribute a review of a Canon gadget that you've purchased?